A brilliant gem Opal pendant with an oval Opal inlaid in 22k Yellow Gold. In stock and ready to ship. A gem quality pendant in 22k Yellow Gold that is extremely bright and sure to be noticed. 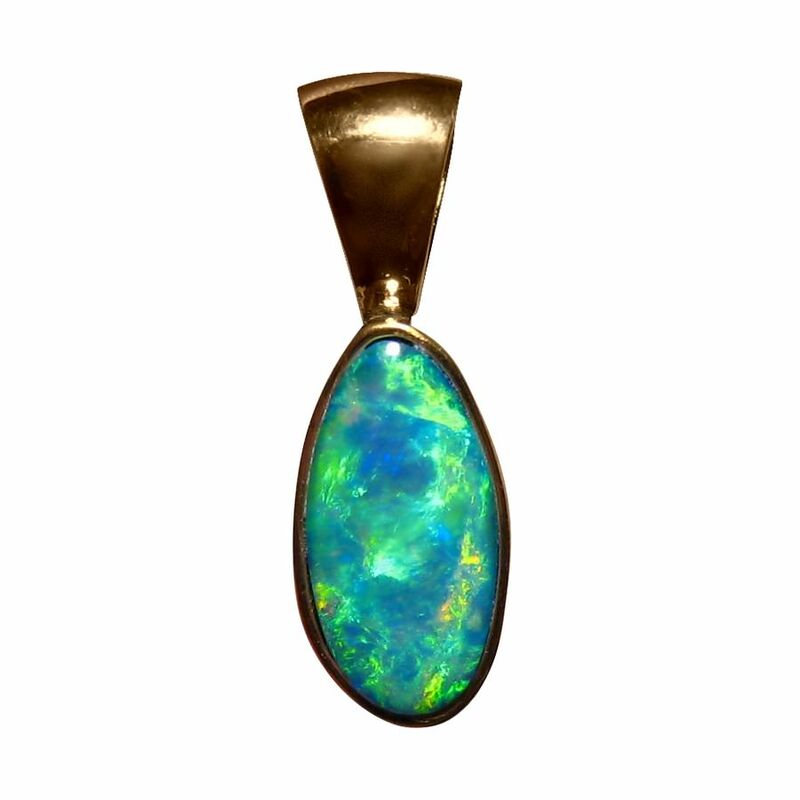 The oval Lightning Ridge Opal is inlaid in the pendant and flashes a vibrant mix of Green with some Gold and Blue that roll across the stone as you will see in the video below. 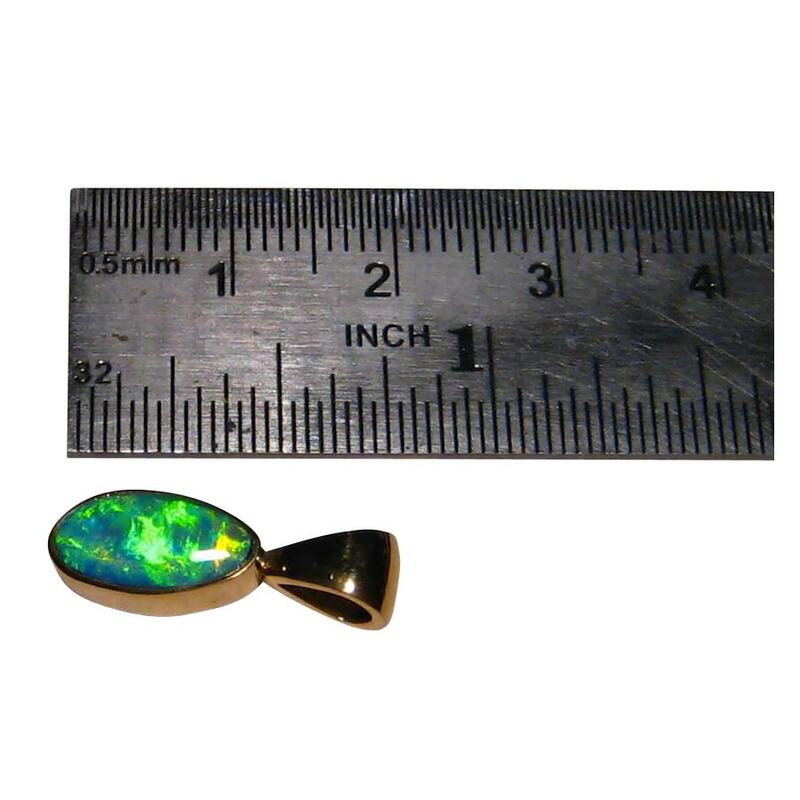 The pendant measures just over ¾ inch long from the top of the bale to the bottom and ¼ inch wide and despite not being a big Opal pendant, it will be seen due to the brightness. 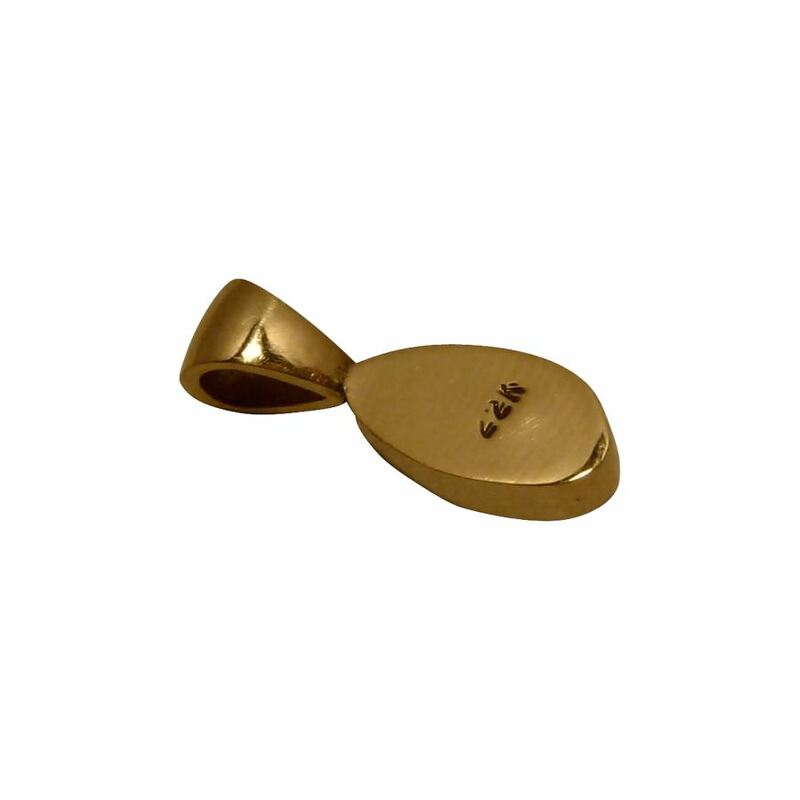 The Gold is smooth and has a high polish which the images do not show. It is ready to ship now but does not include the chain.